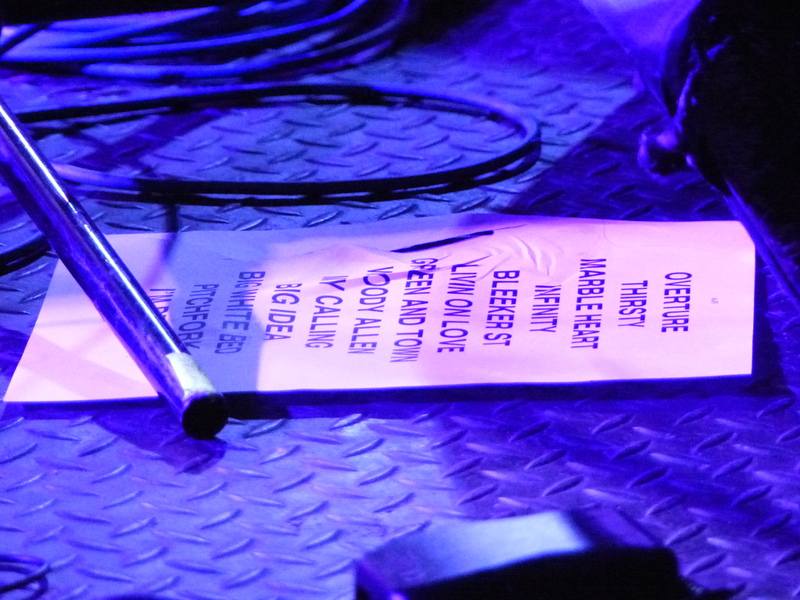 While we’ve gone to tours just to see the first opener, nothing is as exciting as a solid tour lineup from start to finish. 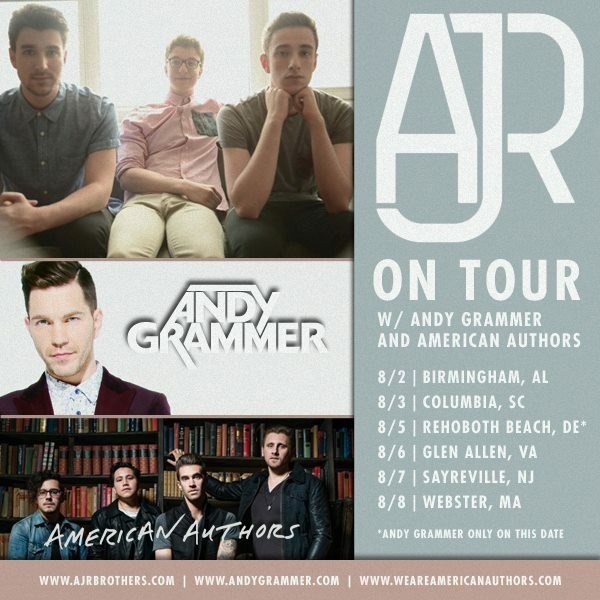 So we were thrilled when Andy Grammer announced that AJR and American Authors are joining him on tour this Summer! 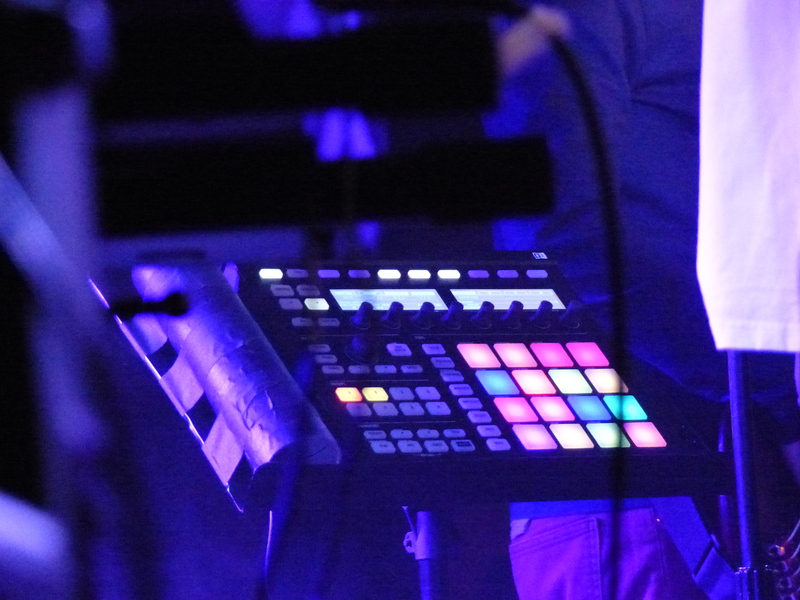 AJR’s Ryan Met has penned tracks for Andy, including “Back Home” from his latest album. 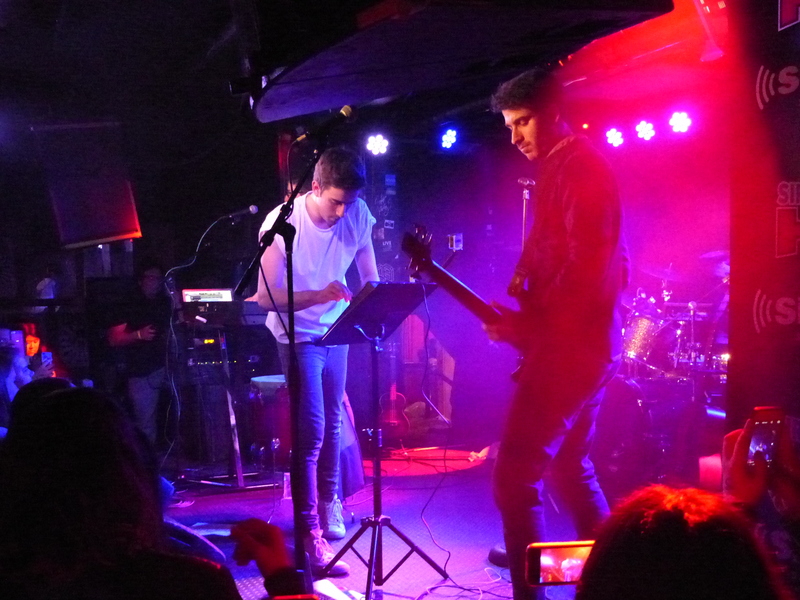 Both AJR and Andy started their music careers by busking – AJR in New York, Andy in Los Angeles. You can see the influence in their performing styles – they sure know how to win over a crowd. We hope they’ll join forces for a song or two on stage. As if this wasn’t enough awesome for one evening, American Authors will also be on the lineup. Tickets go on sale this Friday, May 15th. Check out the tour dates below! Watch Andy Grammer’s video for “Honey I’m Good” below and pickup a copy of his album “Magazines or Novels” on iTunes now! Check out AJR’s latest video “Infinity” and pickup a copy of their debut album “Living Room” on iTunes! Be sure to follow Andy Grammer, AJR, American Authors & Secret Fangirls for more updates! 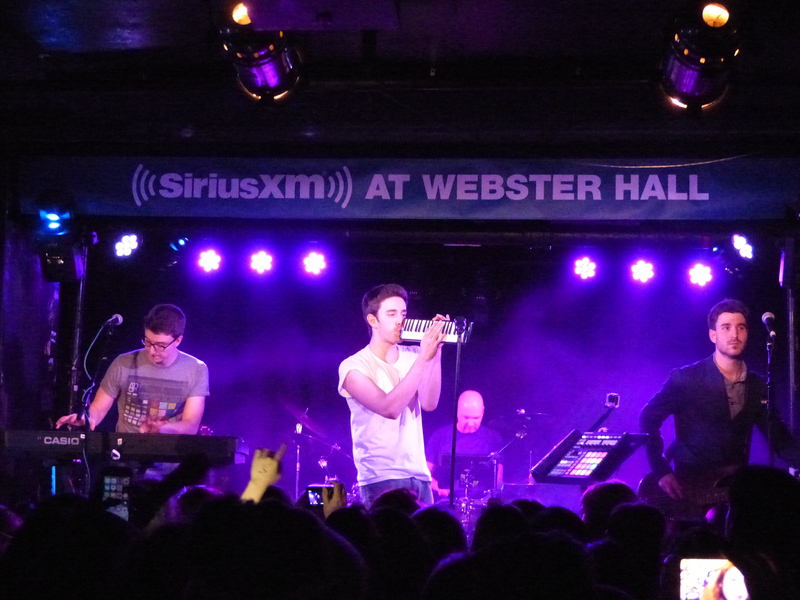 NYC pop trio AJR are celebrating the release of their debut album, “Living Room,” with a hometown concert! The band will be playing a CD release show on March 5th at The Studio at Webster Hall. Tickets go on sale Jan 19th at 10am local time. Not in NYC? You can pickup a copy of the album when it’s released on March 3rd! Watch the official video for the new single “Infinity” below! Pick up a copy of the “Infinity EP” on iTunes or Amazon now. 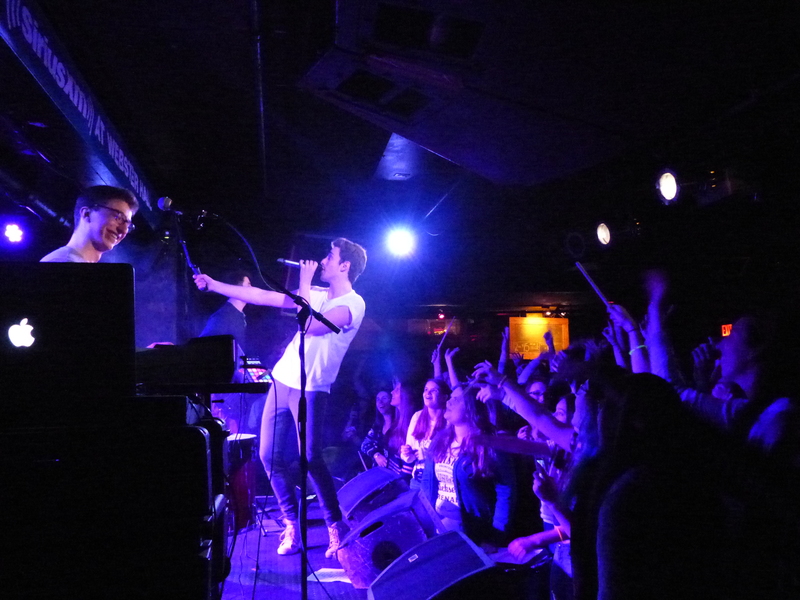 Follow AJR and Secret Fangirls on Twitter for the latest updates. After months of anticipation, we finally have a confirmed release date for AJR‘s debut album! “Living Room” will be released on March 3rd by Warner Brothers Records & AJR Productions. Why “Living Room?” Brothers Adam, Jack and Ryan Met wrote, produced, mixed, and recorded the entire album from their living room in Chelsea. 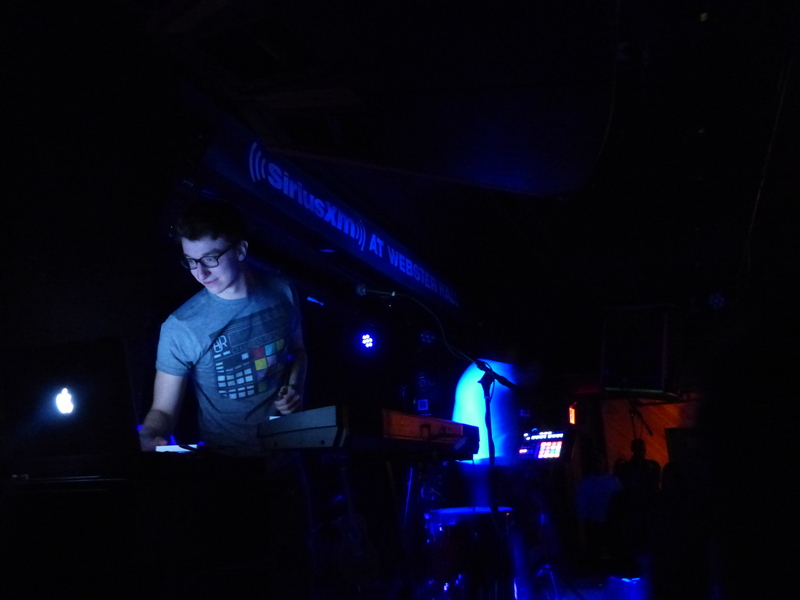 AJR also revealed the tracklisting for the album, which includes some new tracks as well as some old favorites. Check out out below! You can pre-order a copy of the album on iTunes now. Stay tuned for the “Infinity” music video, out later this week! In the meantime, brush up on the lyrics below.